Before our local Borders bookstore closed I used to wonder why so many students would choose the ‘silence’ of its noisy café to do their homework. Visit your bustling local coffee bar and you will see it full of people who have chosen to do work that they need to concentrate on. Many of us seek wilderness areas to recharge from the noisy and frenetic activity of urban life, but the wilderness is not silent, it’s simply full of a different type of noise and activity. Temples and churches are packed with people noisily praying while seeking the peace and silence of divine grace. Similarly, while at home we often seek ‘silence’ by sitting in a room with the television blaring. In past eras people fled to convents or monasteries to find silence and solitude but seeking this type of silence is now seen as strange, possibly requiring therapeutic intervention. Either we are not truly seeking silence in the above examples, or the definition of silence in our culture has changed to mean a different type of noise. Why would we seek a different form of noise unless it’s a form of distraction and if so, what might it be a distraction from? Modern life consists of ceaseless striving and activity and possibly the only way to keep going is to be constantly distracted with new activities. Indeed, it appears that we are in danger of elevating constant activity and distraction into the supreme goal of life, a far cry from the goal of peace and contentment that older and wiser minds sought in the past. However, to follow the latter course would be to admit that there is more to life than striving and activity, something most people are loath to do. Hear, hear to we, the subscribers of “older and wiser.” Just as a silent majority exists yet often seeks not the limelight, I sense what is sought could well be cyclical. And in due course, the wiser will revert to the ways and sounds of less distraction. Then again, choice is omnipresent and to each their own. I intend to give this additional thought, Malcolm, even though I possess clarity about my leanings. Eric, thank you. I agree that we could see a cyclical turn one day. Love the Thomas Merton quote. I crave silence. I think that’s why I love the library. But even there, noise comes in during certain hours. You are right though that we have become an activity crazy society. My home is not and I’m really happy for that! All of us need some kind of sanctuary although that space seems to be shrinking all the time. When I was single, I needed quiet to study. Then I had a family. I became so used to tuning out family noise that now, even though I am once again living alone, I like having some noise (music, radio, tv) in the background. Great post. I think the two things, true silence and the silence of the cafe, are really very different. There are times when I prefer one or the other, depending on what it is I want to do. Mikels, agreed, but please see my reply to Duncan below. It seems to me that when people are seeking silence, they are really seeking noise without purpose. The background music and background chatter distracts us just enough to allow us to concentrate. I do my best writing and studying when there is something playing in the background. Lately, it’s been Pink Floyd albums, Pandora’s Ray Charles station, or a J.D. Salinger documentary. I imagine that most would struggle with true silence – mainly because when you are in that environment, you are forced to hear what is actually inside your own mind. Terrifying! Duncan, I think you may have unwittingly stripped the emperor of his clothes. Maybe humans are the only animals that are terrified of themselves and so are always seeking a distraction from what is in their own minds. The rest of the animal kingdom runs away from the noise of other creatures not from themselves. Well, we *are* the social species par excellence. I think background noise is soothing, and such psychological distraction prevents confronting silence, and thinking over specific problems for long periods of time, and often, thinking for one’s self. It’s tough to be alone with your thoughts. Well, if we are the only species that dislikes being alone with our own thoughts maybe we should envy the rest of the animal kingdom, something modern humanists would cringe at. I wouldn’t envy being a rabbit being eaten just to spite humanists I don’t think. Then…there’s the writing sounds of WordPress. How I enjoy the talking wisdom of your site, Malcolm. Bonnie, thank you and that’s a good point, WordPress can be noisy too. I still remember discovering how rare and actually, how startling, complete silence is. I spent a week at a retreat ground called the “Sangre de Christo Center,” in the hills above Tesuque, NM, at about 9000′. It was far enough off the highway that at night there was no traffic noise. There was a noisy refrigerator in the kitchen, but walking out of the building at night, when everyone else was inside, I didn’t have to go to far before there was a deep silence, broken only on occasion by coyotes. When they were still, the quiet was complete. The sensation was so unusual as to be a little eerie. The good news is that our minds can filter out background noise – traffic, for example – that total silence isn’t required for a still mind. Of course, if you take the Zen approach and explore the deep nature of sound and hearing, noise appreciation can take yet another turn. Except, I suspect, if you’re on a British freighter in the Indian Ocean, blasting Brittany Spears to keep the pirates at bay. There are times for earplugs as well! Morgan, thank you for this. Please excuse the pun but that sounds like a wonderful experience at the “Sangre de Christo Center” but it still shows how difficult it is to obtain true silence, if that is at all possible. I remember hearing almost total silence a few times in the wilderness until it was spoiled by the sound of a distant aircraft or the rush of wind through a canyon. 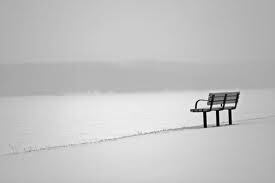 Sometimes we think we have found silence but we just don’t know how to listen. I am of the school of thought that there is more to life than striving and status, but I am an old soul. I just returned from a week with my 85 year old dad and my 86 year old mother and they always put life in perspective for me. Sometimes I miss the simplicity of my childhood in rural Kansas. Spending time there is peaceful and refreshing. I know you are an “old soul” and I suspect that you are far from being alone, at least on this blog. Even your brief comment about your parents in rural Kansas conjures up a vision that has the power to transport us to a more peaceful place. And of course I love how you close with the heart of the matter. Thank you. Your comments are always appreciated. Perfect, Malcolm. It is most definitely “something most people are loath to do” – I have found most people avoid it at ALL costs. Thank you Tahira. I think you are another member of the “old souls” club (see my reply to becwilmylife). Great post Malcolm. I’m sure for many people, distraction is enticing because they perceive doing ‘nothing’, or simply focusing on one thing at a time, would be boring. However, many studies have proven that a mind focused in the present moment experiences the most happiness. Mental wandering, even to pleasant scenarios, decreases overall contentment. convinced we’ve found the paths to happiness, and yet not happy. Perhaps we just lack the discipline to turn away from it all. Kavita, thank you for this thoughtful comment. I would never have thought about wanting to spend time in a noisy train station but I can see that travel or just the excitement of seeing everyone else going somewhere can be a powerful distraction from one’s own preoccupations. Interesting that you say you require a certain type of noise to focus and then you require complete silence. My personal sanctuary is the lounge room, late at night, with headphones. The ‘silence’ is often provided by ambient sounds – the works of Robert Rich, for example. It doesn’t trap me with hook melodies or lyrics but it’s a very long way from random noise. Working at the coffee shop – I’ve tried it a few times myself, but the results were so pitifully small that it wasn’t even worth the effort of getting the book open. For my money that sort of exercise is more about public display than actual labour. Look at me, I’m staring with my computer and I’m wearing my Serious Face. You’re just here to goof off – I’m doing something important. Gregory, thank you. It may not be random noise but Robert Rich is still noise. While it may not be statistically significant the comments do seem to confirm that for most people the new silence is a just a different type of noise. Real, absolute silence is so damn hard to find these days. Unless you’re willing to get up at 3am. There’s always a background rumble of traffic, trains, sometimes the party half a mile away. Ambient relaxes me because it mimics that low omnipresent sound but at an enhanced level – if that makes sense, Malcolm. I don’t know that I’m expressing my thoughts too clearly. Gregory, I apologize for the delay in replying. Actually that’s a very good point. That “low omnipresent” sound never used to be there so absolute silence was never as frightening as many people find it today. Michele, thank you for pointing this out. I had not heard of Coffitivity but this research would certainly explain the large number of busy coffee bars springing up everywhere with people beavering away at their projects. However, I continue to have my reservations and would not like to see these sounds pumped, for example, into all university and public libraries, one of the few bastions of silence left to us.